John Campbell has focused his practice on transactional matters, including venture capital finance, public and private offerings of securities by domestic and foreign issuers, and mergers and acquisitions. Mr. Campbell serves as primary outside counsel to a number of public and privately held companies. He regularly represents boards of directors and management teams in complex and challenging transactional and governance matters. He has a deep expertise in SEC reporting matters that enables him to provide expert, practical advice. Mr. Campbell's practice experience includes semiconductors, optics, software, life sciences, finance, consumer products and media. His clients have included some of the largest and most successful companies in these sectors, as well as early stage ventures, as well as financial intermediaries who serve them. In the merger and acquisitions area, Mr. Campbell has substantial experience in structuring and negotiating a wide variety of transactions involving strategic and financial buyers. 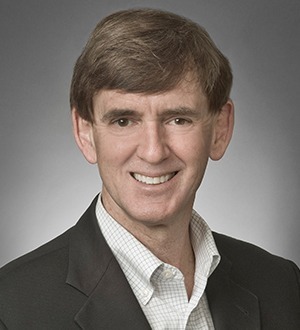 He has worked on well over a hundred transactions, including public company mergers, tender offers, spin-offs, and other acquisitions and divestitures. Mr. Campbell’s transactions have ranged in size from less than $3 million to nearly $40 billion in industries such as semiconductors, life sciences, consumer, social media and internet. In the capital markets area, Mr. Campbell has handled numerous public and private offerings of both debt and equity securities, representing issuers and underwriters. His transactions have ranged from IPOs to PIPEs to registered direct offerings to 144A offerings. He has also represented numerous emerging companies in private placements and venture financings. Mr. Campbell served as co-chair of Morrison & Foerster's Life Science Group from 2004 through 2008. He was as a member of the supervisory board of VPSA, the manager of FCPR (formerly Viventure Partners), the venture capital and private equity division of Vivendi Universal. Mr. Campbell is recommended as a leading lawyer by Chambers USA 2008-2014, Best Lawyers In America 2007-2013 and Super Lawyers 2006-2012.